Rosemarie Senior and her two children had been last seen on Fiday but were yesterday located safe and well in Ireland. 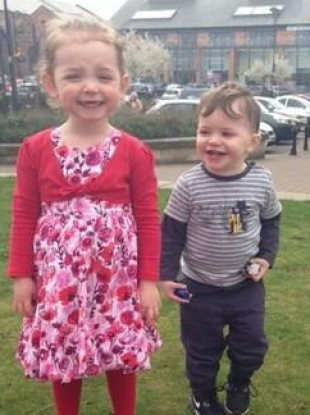 Nora Lisa Ward (3) and James Dean Docherty (2). AN ENGLISH MOTHER and her two children who went missing last week and were being sought by police have been found safe and well in Ireland. Rosemarie Senior, her three-year-old daughter Nora Lisa Ward and two-year-old son James Dean Docherty had been last seen getting into a car with Senior’s boyfriend Sidney Winson on Friday last. Nottinghamshire Police mounted a search for the three, issued pictures and descriptions in an attempt to trace their whereabouts and were said to be concerned for their welfare. Police had advised upon making the appeals that they had reason to believe they may have been travelling to Ireland. After a number of days and what police say were “extensive enquiries” Senior’s partner was the first to be located yesterday. Searches continued for the mother and children in Ireland yesterday and the were subsequently located safe and well. Email “An English family missing since last week have been found in Ireland”. Feedback on “An English family missing since last week have been found in Ireland”.